It’s easy to judge a smoothie by its color and look, and many people look at green smoothies and automatically think they’ll taste gross. However, green smoothies are among the healthiest options for smoothies, and you can find a green smoothie recipe that is not only tasty, but also can help you fight off colds and boost your immune system. If you make a green smoothie for breakfast, you can start off your day feeling great. 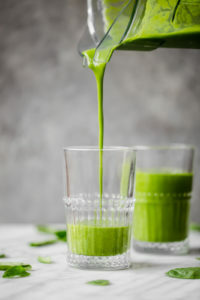 Typically, the smoothies are green due to the leafy green ingredients, such as kale and spinach, that are first blended. The great taste comes from the liquid base, added fruit, and seasonings you put in, the options of which are endless. They’re very cheap and easy to make as they contain as little as three ingredients, and they are healthy eating made affordable. Even kids love green smoothies. These are our favorite recipes for green smoothies, how to make your best smoothie yet, and how consuming these delicious smoothies may help your health. Green smoothies are simple and easy. All you need for a green smoothie recipe is your blender, some leafy greens, some fruit, and a liquid such as milk or water. You don’t need a very fancy or expensive blender; however, you may find that better blenders will mix your ingredients faster and more efficiently. The most important thing is to have the right ratio of fruit to greens, so your smoothie is tasty and sweet, and you don’t end up getting a mouthful of just spinach. 1)Put 1 cup of packed spinach (or other veggie of your choice) into a blender and blend. 2)Add 1 cup of liquid and blend well, until all chunks of the leafy vegetable are gone. 3)Add your fruit and blend, until the mixture is smooth and creamy. Depending on your blender, this could take anywhere from thirty seconds to several minutes. 4)It’s recommended that you pour out and serve the smoothie right away for maximum nourishment. However, you can always freeze them and save for later. Follow the 60/40 formula. Many people, especially if they’re beginners, make the mistake of simply tossing things together in the blender. While this may seem like common sense, it can actually affect the taste of the green smoothie recipe and how it blends. 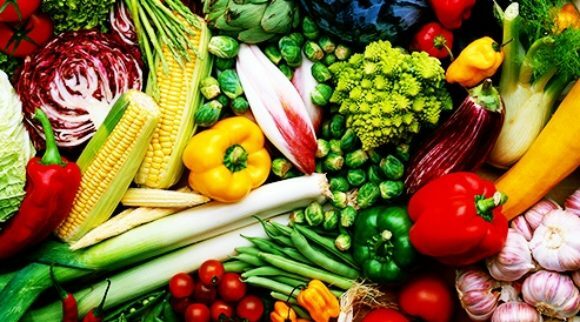 In general, you should put in 60% of fruit to 40% leafy greens, or 2 cups of greens to 3 cups of fruit. Blend in stages, so you don’t end up with chunks. This is another reason why you shouldn’t simply throw everything in and turn the blender on. To get a smooth, creamy smoothie, blend your greens with the liquid base first, then add your fruit, and blend again. Use frozen fruit instead of ice. If you’d like your smoothie to be cold but want to avoid watering it down, buy frozen fruit, or freeze fruit on your own. It’s easy to chop up and toss grapes, pineapples, and mango into the freezer. You can even freeze the vegetables you’re planning on using. This is a great way to meal prep for your smoothies; portion out the fruits and vegetables beforehand, put them into individual plastic bags, then pull out of the freezer, and add your favorite milk to create smoothies on the go. Use natural, raw sweeteners. A lot of fruits are naturally sweet and have lots of sugar, so they will balance out a green smoothie recipe that might taste bitter or too “green” and leafy. Use fruits such as mango, pineapple, pears, and apples to sweeten your smoothie and avoid processed sugars and artificial sweeteners. Make smoothies the night before for a quick breakfast. Life is busy for everyone, especially in the morning, and green smoothies are among the healthiest, easiest options for breakfast. You can blend your smoothie the night before, then store it in the fridge with a lid. Merely grab your drink on your way out the next morning and shake well before you open it. 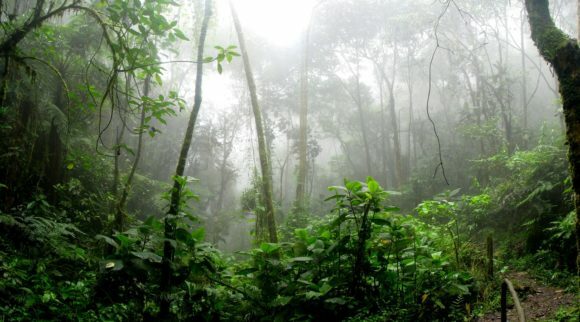 Green smoothies are very well known for all the health benefits they offer. By consuming green smoothies daily, you can help your body and mind transform, as well as gain energy, lose weight, and boost your immune system. With green smoothies, you can accomplish all the things you want to do. A green smoothie recipe usually contains as little as 3-4 ingredients, so you know exactly what is going into your smoothie–and your body. They boost the immune system. 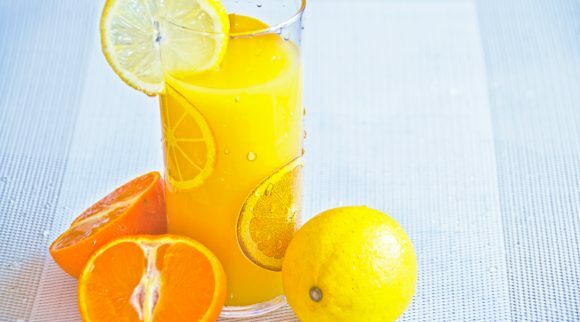 Due to many of the ingredients you can add to a green smoothie recipe , such as oranges and orange juice, it’s a simple, great way to get vitamin C and help you feel better when you’re sick. They’re full of vitamins, iron, and potassium. 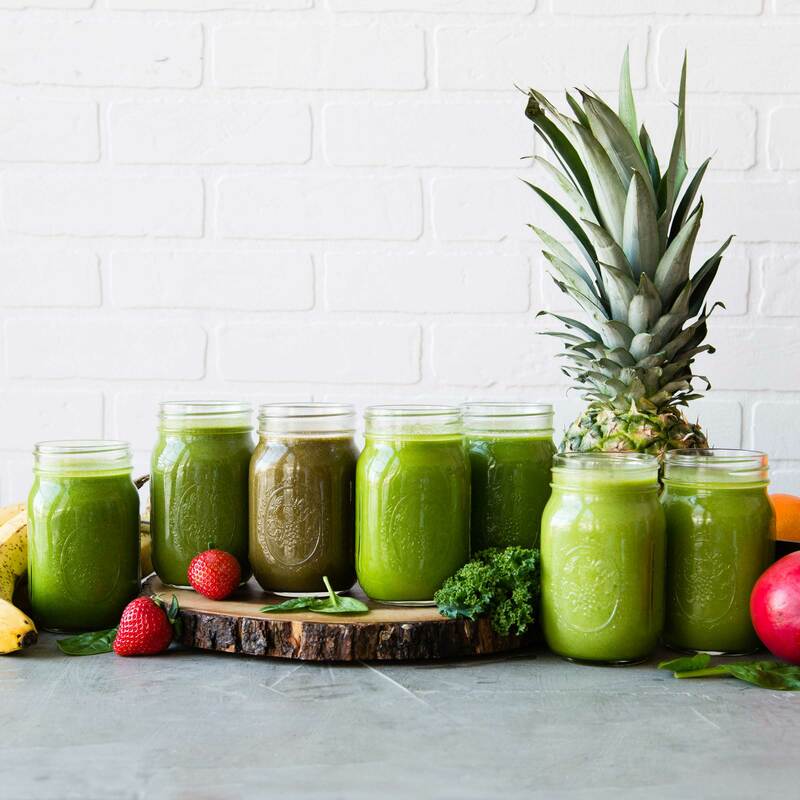 With green smoothies, you’re putting the healthiest, most simple ingredients in your body–vegetables and fruits–which are packed with vitamins and minerals, as well as antioxidants that fight disease. They naturally boost energy. Rather than turning to energy drinks, you can grab a smoothie to battle those afternoon slumps. They can help you lose weight. If you replace your normal breakfast with a smoothie, this can lead to some weight loss and can lead to better wellness choices overall. Bananas. Bananas are a great and healthy way to add creaminess to your smoothie, and they’re packed with potassium and healthy carbs. Pineapples. This fruit contains a naturally occurring enzyme, bromelain. Bromelain is great when it comes to preventing inflammation, and aiding with issues in the digestive system. They’ll also sweeten your smoothie naturally. Spinach. Spinach is the most popular leafy green to add to green smoothies because you can’t taste it. Add 2-3 cups to your blender, and you’ll get plenty of vitamins, fiber, and nutrients. Ginger root. Fresh ginger can give your green smoothie recipe a burst of flavor. It also gives you relief from digestive problems and can reduce inflammation and pain. Turmeric root. 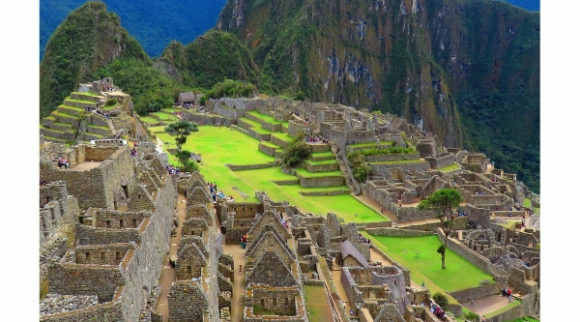 This is a magic root that has incredible flavor and has been used as a medicinal herb for centuries. It contains a compound, curcumin, which has strong effects against inflammation. The root can also increase the absorption of antioxidants and can help prevent disease. To get the full effects, take it with black pepper, which will help your body to absorb turmeric. Black pepper. All you need is a tiny bit of black pepper to help your body absorb all of the other nutrients and benefits your smoothie has to offer, and the pepper may enhance flavor. If you don’t add in too much, you won’t be able to taste it. Manuka honey or raw honey. If the honey you use is manuka or raw, you’ll get even more benefits naturally, and consume antioxidants at higher levels. This is an especially powerful and effective ingredient to put in your green smoothie recipe if you’re suffering from a sore throat or a cold. One of the greatest aspects to green smoothies is that they are incredibly versatile, and there are many different ways you can make them. It’s tough to go wrong with the ingredients. Many green smoothie recipes call for fresh fruits and veggies, however you can add them frozen and do whatever you would like to make the smoothie tasty. No matter what you decide to put in your smoothie, however, you’ll be able to find all the affordable ingredients at your local grocery store. 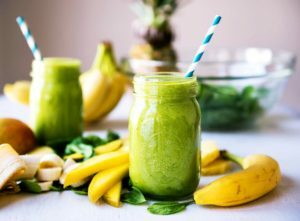 Now that you understand how to make a great and tasty green smoothie recipe, and how it can benefit your health, you can follow these recipes to make popular, delicious smoothies that’ll satisfy your whole family. The Beginner’s Luck smoothie is great for people who are new to making green smoothies and is simple enough for kids as well. It’s full of vitamins, potassium, and iron, and due to the mango and pineapple, it tastes tropical. If you’re not a fan of bananas, swap them out for half an avocado, or add another ½ cup of mango. Using a measuring cup, tightly pack the spinach to measure 1 cup. Add the water and spinach to blender. Blend until all chunks of spinach are gone; it should resemble green water once it’s well blended. Add the banana, pineapple, and mango to the blender. You can use frozen pineapples and mango to save on preparation time (you won’t have to spend time cutting them up), and they will chill down the smoothie and take away the need for ice. Blend everything together until it all looks creamy and smooth. Time varies by blender; this could take a couple of minutes. Pour and serve immediately, or store in the fridge with a top/lid until you’re ready to drink. 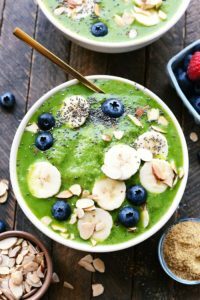 This green smoothie recipe is very healthy as cucumber, spinach, kale, lemon, apple, and banana all come together to create a nutritional powerhouse that gives you energy for the entire day. It’ll also help your skin glow, and your hair become soft and shiny. This smoothie is especially great to welcome in the New Year and to help with all the resolutions you’ve set for yourself. This green smoothie recipe is especially refreshing. You’ll get a little bit of sweetness from the apple juice, as you get a ton of nutrients from all the vegetables and fruits. Many recipes call for either spinach or kale, but this one calls for both, so you get the best of both worlds. Usually, the spinach goes unnoticeable, while the kale has a stronger flavor. If you drink this daily, you’ll feel the difference as you gain more stamina and more focus, on top of clearer skin. As a bonus, it can also help with stomach issues, and you’ll get most of your daily vitamins in a single serving. 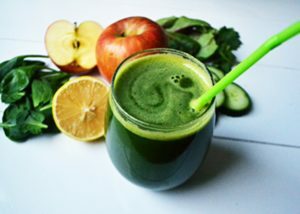 Place greens, ice, squeezed lemon, and apple juice into blender and blend. Add fruit and toppings, and blend until smooth. Foam will rise to the top; drink right away. Using a frozen banana will allow you to use less ice. For additional benefits, use water instead of apple juice and a whole apple, or, do half apple juice and half water. 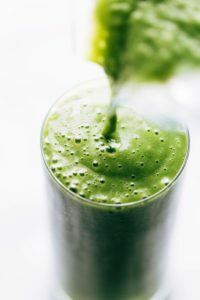 This green smoothie recipe contains a few basic ingredients that many people come back to, time and time again: kale, mangoes, peaches, and almond milk. You’re also welcome to add spice or cinnamon to give the smoothie a cozy feeling, or honey to sweeten it up a little bit. Overall, however, this smoothie’s texture and taste are the best. It’s creamy and smooth and won’t be runny like juices or icy like slushies. This is also a green smoothie recipe that is very easy to prepare ahead of time as you meal prep everything for the week. You only have to portion out the peaches, kale, ginger, and mango into individual bags and put them in the freezer. Then, when you’re ready, take one out and add your favorite smoothie liquid base. 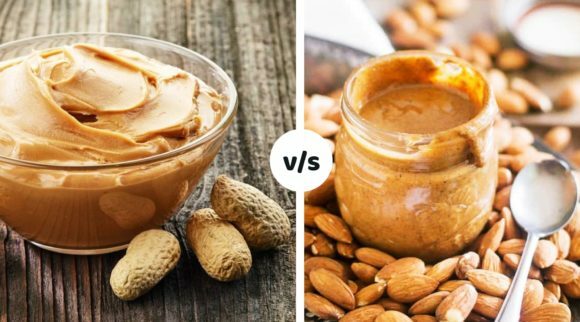 The recipe calls for one to two cups of almond milk, but you can adjust the amount to your preference as to whether you’d like it more as a smoothie or more of a juice. You may find that adding a small amount of salt can enhance the flavor of the overall smoothie some. It’s also one of the recipes that works the best with fruit that’s frozen, so you end up with a creamy and smooth texture. The best results can be gained from using a high-speed blender. This green smoothie will boost your immune system and your overall wellness, as it’s packed with completely nourishing ingredients: turmeric root, ginger, honey, spinach, banana, black pepper, and pineapple. All of these come together to make for a great, delicious green smoothie recipe that is easy on your digestive system and provides a boost for your overall health. This is a great smoothie for daily consumption, such as for breakfast. In a large high-powered blender, blend ingredients on high for one or two minutes. Blend until everything is combined well. Add a scoop of your favorite protein powder if you want a more well-rounded drink. You can add more milk to thin the smoothie. You can substitute the banana with one cored apple. Staying healthy is especially difficult in the fall and winter. When the cold season comes around, you can make this cold-busting green smoothie recipe that’s completely packed with vitamin C and other immune system-boosting ingredients to keep your body happy and healthy. Once you get a cold, one of the greatest ways to help cure it (and to help prevent getting one in the first place) is to eat as many foods that boost your immune system as possible. These foods include berries, leafy greens, and citrus. This green smoothie recipe not only contains all of those for antioxidant power, but also throws in extra protein and smoothness with Greek yogurt and a frozen banana. You won’t have to put any sweeteners in this one, and you’re welcome to choose any flavor of Greek yogurt you like, although vanilla is the most popular choice. Fight away your colds with this green smoothie recipe; it makes a great snack, and you’ll get a full serving of veggies and a full serving of fruit. Place spinach and ice in high-speed blender. Blend for two minutes. Add the rest of the ingredients; blend until smooth. If you’re interested in going beyond the traditional green smoothie recipe in a glass, you can make yourself a smoothie bowl and still get all of the health benefits. In the end, simply pour your smoothie into a bowl and add oats, chia seeds, nuts, and other toppings. If you want to increase the protein in this bowl particularly, it’s optional to include a scoop of your favorite protein powder, of any flavor. Vanilla protein powder works the best. You can also change the amount of coconut milk you put in, depending on whether you like your smoothie bowl thick, or not. Mix the ingredients in a high-speed blender until smooth. Pour into a large bowl, and top with blueberries, chia seeds, banana slices, and slivered almonds. 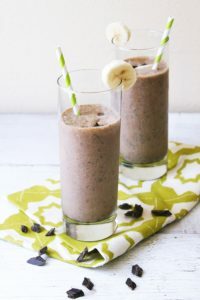 This incredibly healthy smoothie has great texture due to the substituted avocado, and it has a nutritional punch with potassium-packed bananas. You’ll also get lots of omega 3s from the chia seeds, and fiber from the apple. The smoothie is so refreshing, you’ll feel like a green goddess afterward, hence the name. The drink makes a great, light breakfast, or a snack. If you want to fully replace your normal breakfast with a smoothie, you can use this one and add a scoop of your favorite protein powder to make it more of a complete meal. The original recipe for this smoothie asks for Greek yogurt, however, if you’d like your smoothie to be dairy free and you want to keep the creamy texture, you can swap yogurt for almond milk and avocados. Avocados especially are a must for creamy smoothies. If you use apples, a sweeter smoothie is best achieved by using Gala, Braeburn, or Honeycrisp apples. If you don’t want your green smoothie recipe to be so sweet, use green apples. In a large high-powered blender, mix all ingredients and blend on high for one or two minutes, or until everything is combined well. If it’s necessary to thin the smoothie, add in more almond milk as you go until you reach desired creaminess. Makes 2 smaller sized smoothies. This green smoothie recipe will truly make you feel happy, as well as rejuvenated and refreshed after you drink a glass of it. 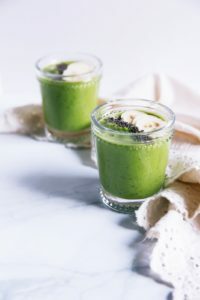 The recipe packs your drink with all kinds of healthy things–vitamins and nutrients from the spinach and kale, anti-inflammatory properties and antioxidants from the pear, and hydration from the coconut water. You won’t feel guilty at all about this drink, and it’s a great way to get in more veggies as well. Besides breakfast, these smoothies make great afternoon snacks that’ll give you a boost. Pour the coconut milk, coconut water, and agave syrup into a blender. Squeeze in the juice of half a lime, then blend. Add pear, spinach, and kale. Blend again, until smooth. Pour into two glasses and serve immediately; otherwise, put in your fridge for as long as 24 hours. Green smoothies may not be the most aesthetically pleasing drink, but they are among the most versatile and healthy smoothies available. The best thing about green smoothies, beyond how great they taste, is that they’re quick, easy, and affordable to make. Not only can you make a smoothie with as little as three ingredients–spinach, milk, and one fruit–but all of the ingredients that can be put into green smoothies are ones you can find at your local grocery store, and they won’t break the bank. Green smoothies are easy to make, as well. You can prep beforehand, or blend and serve right away. Just make sure you follow the 60/40 rule and blend your leafy greens first before adding in the fruit to ensure that there are no chunks in your smoothie. There are tons of green smoothie recipes online, and the eight outlined above are our favorite. 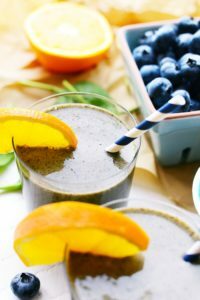 There’s truly something for everyone out there—whether it’s a smoothie that busts colds, a Happy Green Monster, a smoothie that makes you feel like a goddess, the Beginner’s Luck that even kids love, or one that gives you a glow, you’ll find delicious smoothies that can benefit your health.